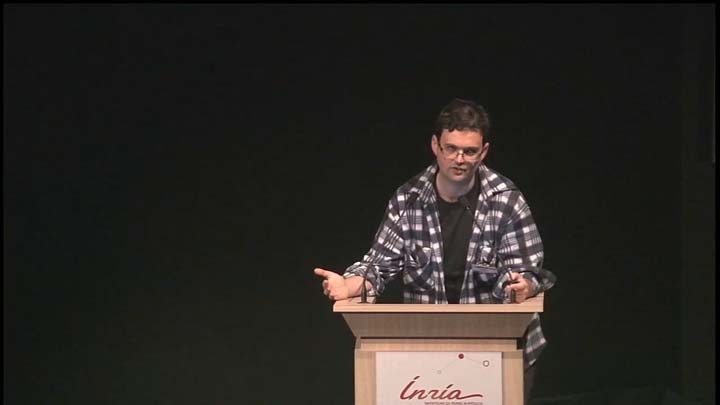 (video) #renabigo2013 "Make & Bioinformatics:everything but #usegalaxy"
Here are a few tools I recently wrote (and reinvented) for Jvarkit. 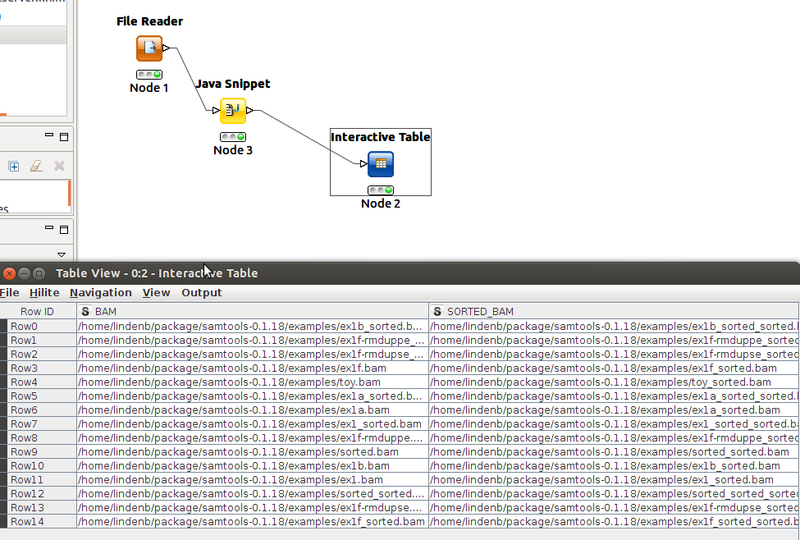 a simple java-Swing-based BAM viewer. Print the first variants of a VCF. Generate some statistics from a VCF. The ouput is a XML file that can be processed with xslt. I work with Makefile-based workflows: how can I save the version of each software used when I invoke 'make', whatever the target is ? A naive solution is to add a dependency to each target. For example, the following makefile takes a simple SAM file, convert it to BAM, sort and index. For each target, I've added a dependency named "dump_params" that append the version of samtools to a file "config.txt". But that solution doesn't work because make re-builds all targets even if the top target already exists. [samopen] SAM header is present: 2 sequences. And that works ! the final target is generated only once, but the file 'config.txt' is always generated. Since it's immediately expanded the shell script will be invoked once, as the makefile is read in. There's no need to define a dump_params target or include it as a prerequisite. This is more old-school, but has the advantage that it will run for every invocation of make, without having to go through and ensure every target has the proper order-only prerequisite defined. YES: "Choice of transcripts and software has a large effect on variant annotation"
Here is an example of a missense mutation found with VCFPredictions, a simple tool I wrote for variant effect prediction. my tool uses the UCSC knownGene track, here is the context of the variant in the UCSC genome browser. There is one exon for TCEA3 (uc021oig.1) on the reverse strand. If the base at 23710805 is changed from 'A'→'G' on the forward strand, there will be a non-synonymous variation Y(TAT)→H(CAT) on the reverse strand. At the NCBI rs605468 is said to be " located in the intron region of NM_003196.1." NCBI pubmed Commons/@PubMedCommons is a new system that enables researchers to share their opinions about scientific publications. Researchers can comment on any publication indexed by PubMed, and read the comments of others. Now that we can add some comments to the papers in pubmed, I suggest to flag the articles to mark the deprecated softwares, databases, hyperlinks using a simple controlled syntax. Here are a few examples: the line starts with '!MOVED' or '!NOTFOUND' and is followed by a URL or/and a list of PMID or/and a quoted comment. !MOVED PMID:19846593 "A more recent version"
In http://www.ncbi.nlm.nih.gov/pubmed/19919682 the URL has moved to http://biogps.org. !NOTFOUND: for http://www.ncbi.nlm.nih.gov/pubmed/9545460 ( Biocat EXCEL template ) url http://www.ebi.ac.uk/biocat/biocat.html returns a 404. !NOTFOUND "The URL http://www.ebi.ac.uk/biocat/biocat.html was not found "
Inside the variation toolkit: Generating a structured document describing an Illumina directory. I wrote a tool named "Illuminadir" : it creates a structured (JSON or XML) representation of a directory containing some Illumina FASTQs (I only tested it with HiSeq , paired end-data and indexes). Illuminadir scans folders , search for FASTQs and generate a structured summary of the files (xml or json). IN=File root directories This option may be specified 1 or more times. PS: This post was generated using the XSLT stylesheet :"github2html.xsl" and https://github.com/lindenb/jvarkit/wiki/Illuminadir. Rapid prototyping of a read-only Lims using JSON and Apache Velocity. In a previous post, I showed how to use the Apache Velocity template engine to format JSON data. Since that post, I've moved my application to a github repository: https://github.com/lindenb/jsvelocity. 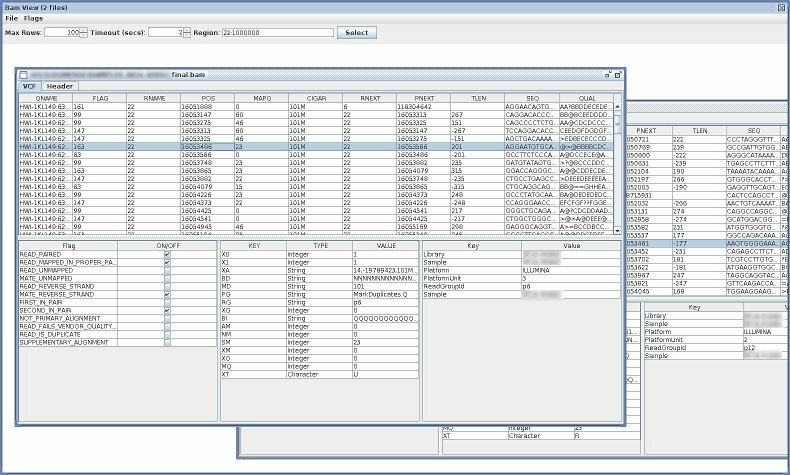 The project contains a java-based standalone tool to process the JSON data. Today I wrote a web version of the tool using the jetty server. 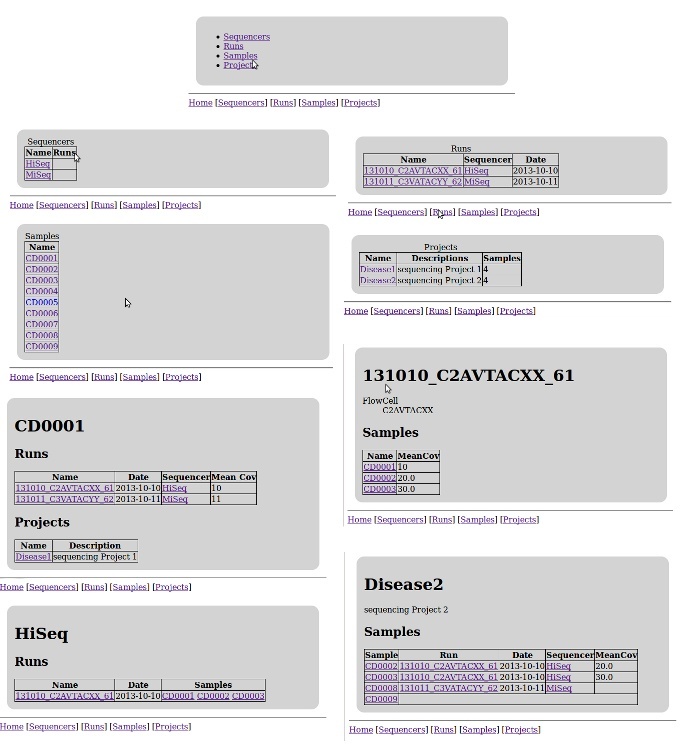 I wanted to quickly write a web interface to display various summaries for our NGS experiments. One velocity template is used to browse this 'database': https://github.com/lindenb/jsvelocity/blob/master/src/test/resources/velocity/lims.vm. This notebook about GNU parallel follows Ole Tange’s GNU parallel tutorial ( http://www.gnu.org/software/parallel/parallel_tutorial.html ) but I tried to use some bioinformatics-related examples (align with BWA, Samtools, etc.. ). The following question was recently asked on Biostar "Bioinformatics: how to version control small scripts located all over the server". I suggested to put the scripts in a central repository (under git or whatever ) and to use symbolic links in the workspaces to manage the files. On the other hand, Alex Reynolds suggested to use a Module to deploy versions of a given package. http://modules.sourceforge.net/: " The Environment Modules package provides for the dynamic modification of a user's environment via modulefiles. Each modulefile contains the information needed to configure the shell for an application. Once the Modules package is initialized, the environment can be modified on a per-module basis using the module command which interprets modulefiles. Typically modulefiles instruct the module command to alter or set shell environment variables such as PATH, MANPATH, etc. modulefiles may be shared by many users on a system and users may have their own collection to supplement or replace the shared modulefiles." @yokofakun Yep, module system would allow central place for code/binaries. Load module where/when needed. Loading can be scripted too. I've just played with Modules, here is my (short) experience. I've got two versions of samtools on my server : 0.1.18 and 0.1.19, I want to easily switch from one version to another. Here is my presentation for the course "File formats for Next Generation Sequencing", I gave monday at the University of Nantes. Here is my presentation for the course "Advanced NCBI", I gave yesterday at the University of Nantes. 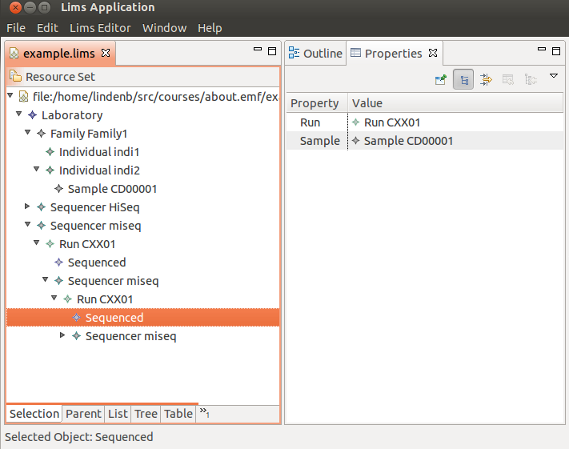 Building a simple & stupid LIMS with the Eclipse Modeling Framework (#EMF), my notebook. I played with the Eclipse Modeling Framework (EMF) and created a simple interface to manage a list of sequenced samples. I knew the problem for chrY ( http://www.biostars.org/p/58143/) but not for chr3.. What is the problem for this chromosome ? 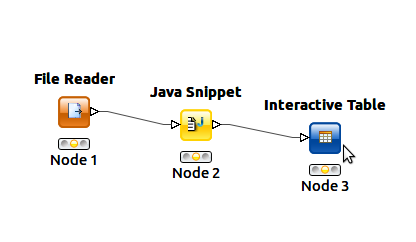 http://www.knime.org/ is "a user-friendly graphical workbench for the entire analysis process: data access, data transformation, initial investigation, powerful predictive analytics, visualisation and reporting" . 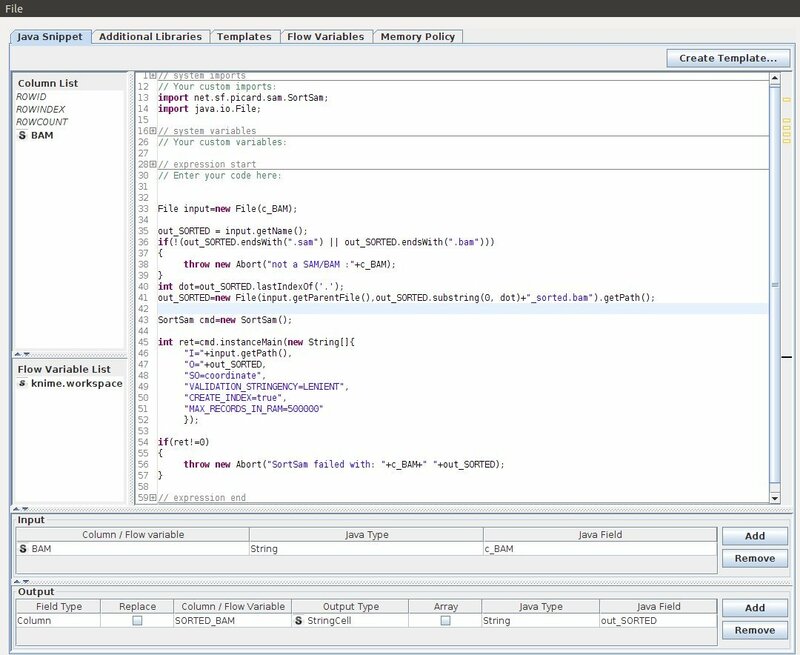 In this post, I'll show how to invoke an external java program, and more precisely a tool from the picard library from with knime. The workflow: load a list of BAM filenames, invoke SortSam and display the names of the sorted files. 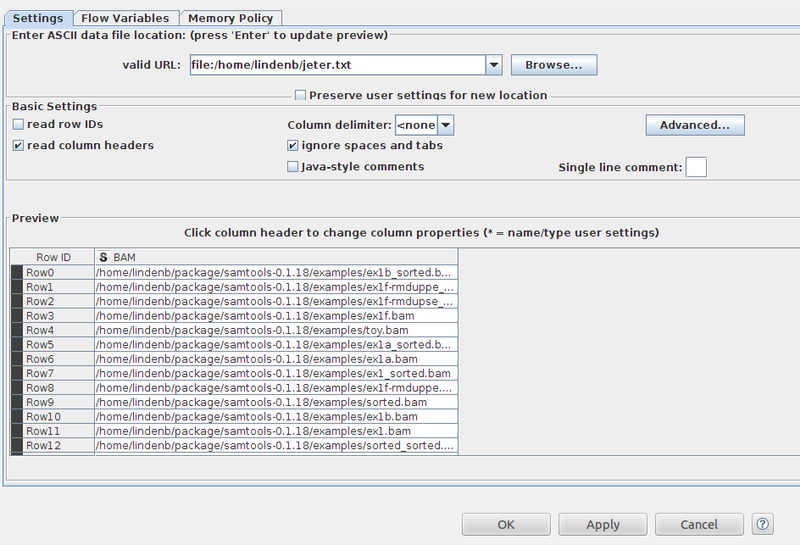 Edit the java snippet node, create a new column SORTED_BAM for the output. The workflow was uplodaded on MyExperiment at http://www.myexperiment.org/workflows/3654.html.